This is one of those amazing books, that I put off reading because the cover did not draw me in enough. 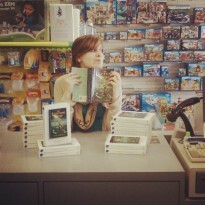 ( Yes, I am guilty of judging books by their covers! ) While it is seriously striking and intense. To me it looks like the cover to a graphic novel ( Don't get me wrong, I love graphic novels and manga ) and that just wasn't the feel I was looking for at the time. I am so glad I took the time to sit down and read this story! I finished it in just a few hours, never taking a break. Keller .. Wonderful Keller. The Witch and the Witch hunter. The lion fell in love with the... lion? lol Seriously. It was such an interesting relationship that gradually grew. Insta attraction does not always have to mean insta love! 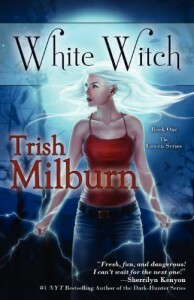 Fast paced, fun and full of action and romance White Witch is a book and series that is bound to get some love and fans! There were only a few things that held this book back from getting a 5 star review from me. 1: It ended too soon! Since I know there are more to come in the series I kind of wish book 1 and 2 were combined. While I loved that it was a story I could finish in one sitting, at the same time I was left wanting. 2: Jax is described as incredibly beautiful, and this fact is pointed out much in the book. Guys love her, Girls hate her for her beauty. It is said that it is all in the Genes, the magic gives the coven their beauty. But I feel this not explained well enough. While eventually it dies down, I feel like it was focused on too much in the first half of the story without enough explanation. That being said I still Loved this story and am anxiously awaiting book 2 to see what happens next!